Outlets at San Clemente Holiday Festivities are in Full Swing! 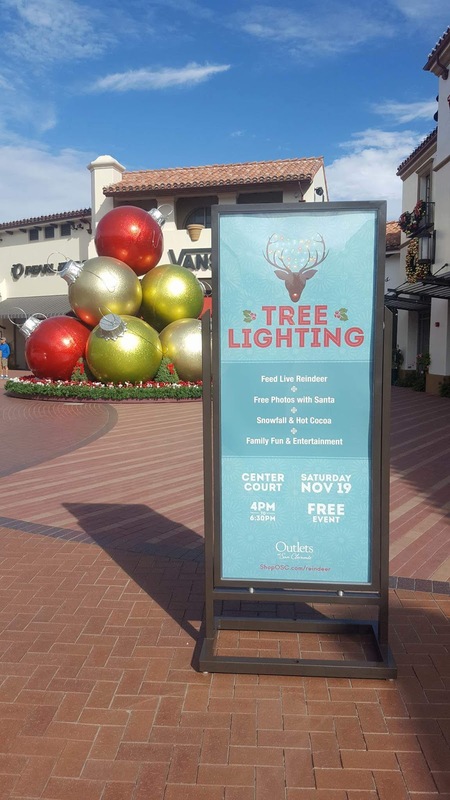 Over the weekend the Outlets at San Clemente held their official Tree Lighting ceremony and kicked off Holiday Shopping. We had a few of our mini contributors check out all there is to do aside from shop. I know that sometimes the kids don't always have as much fun shopping but this was their first visit to the Outlets at San Clemente and they are giving us the scoop on all the Holiday fun they had. 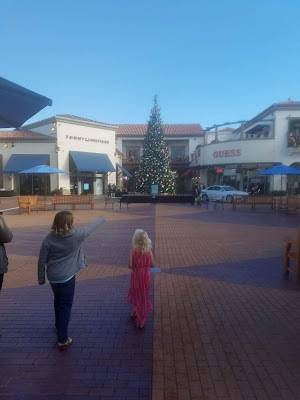 As first timers to the Outlets our contributors are giving us all a look at the outlets themselves and the kids favs on the other things to do during the Holidays! * We love how clean, safe and highly accessible the outlets were. * Comfortable and clean restrooms and a variety of shops to suit all needs. 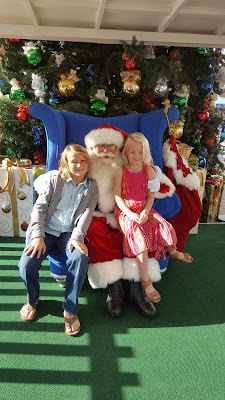 * Awesome Santa- very engaging with kids, even our shy daughter. Santa was on it.. he even knew about surrounding area when kids mentioned where they went to school. Santa did not rush kids and made them feel comfortable, suggested we take a family photo! 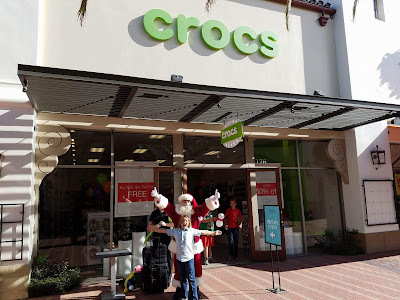 * The outlets are in a perfect location right off of the freeway. You would never be able to tell there was a freeway right next to it, you only see beautiful glimpses of the sea. * Love all of the festive details and decor around the outlets, including the "Santa's house" placards on the ground, so unique. * Something for everyone. Shop til you drop since there are brands thatn everyone in the family will be asking for! Added Bonus...Santa also had dog treats for dogs and saw a few people with dogs take pics with him. 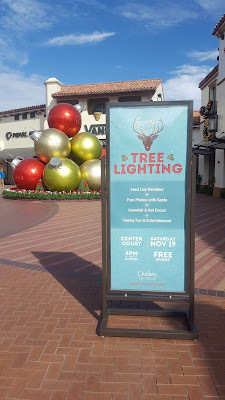 Thanks to the Outlets of San Clemente for the Kick Off Event to Holiday Shopping! 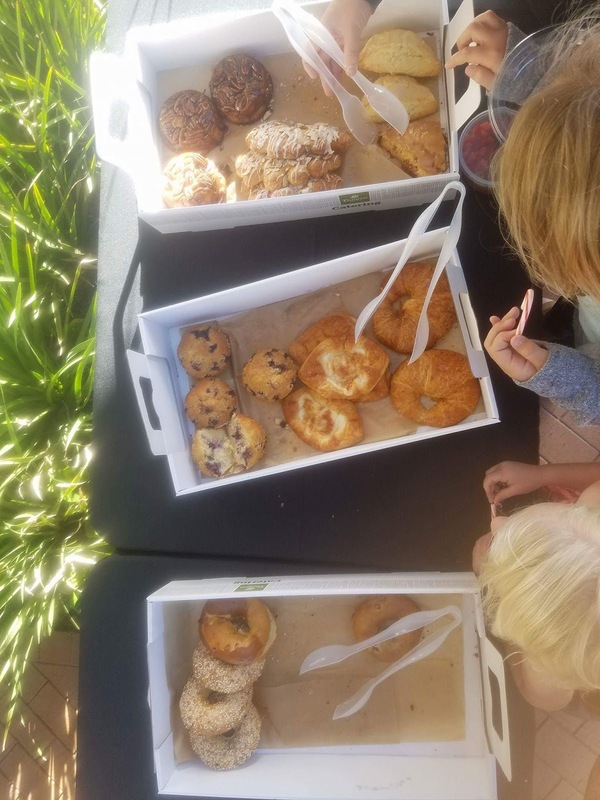 Breakfast was super yummy, we loved the acai bowls from Bowlology and sweet Cadence was able to get her favorite croissant from Panera. Score!! Bennett was so happy to get minecraft face painting and a creeper balloon animal. The kids loved Santa and the time he spent with each of them. No Rush, just the feeling of well... the Holidays! 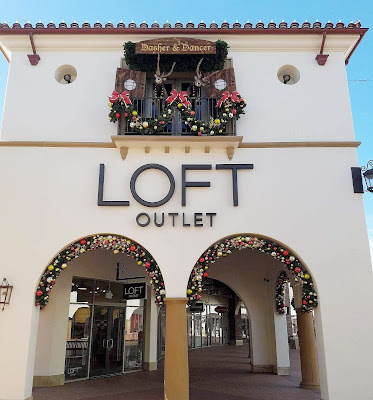 Get your Holiday Shopping on at the Outlets at San Clemente and enjoy a socal day by the beach too. The outlets will have Thanksgiving sales and promotions running all weekend. Get all the info on the Outlets at San Clemente and their Holidays Deals HERE. You can also get all the deets on the Moonlight Maddness sale HERE.